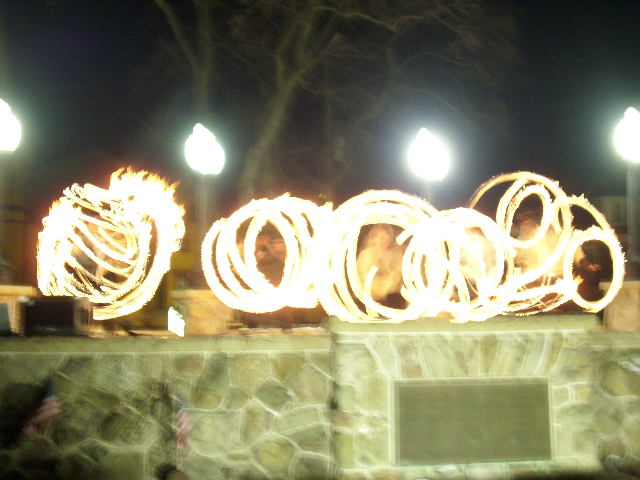 Vicki Kerestes of Steel Town Fire has been devoted to fire performance art since 2009. 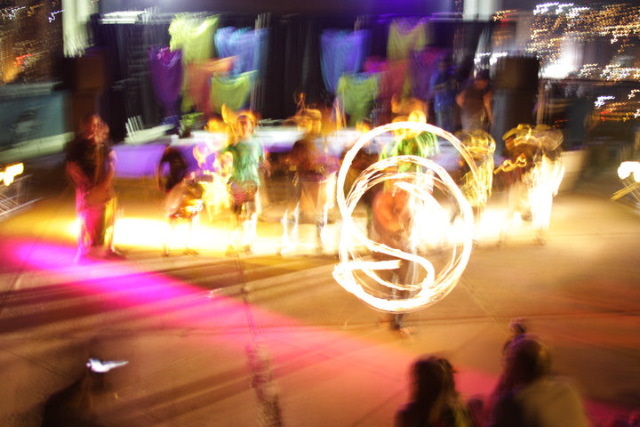 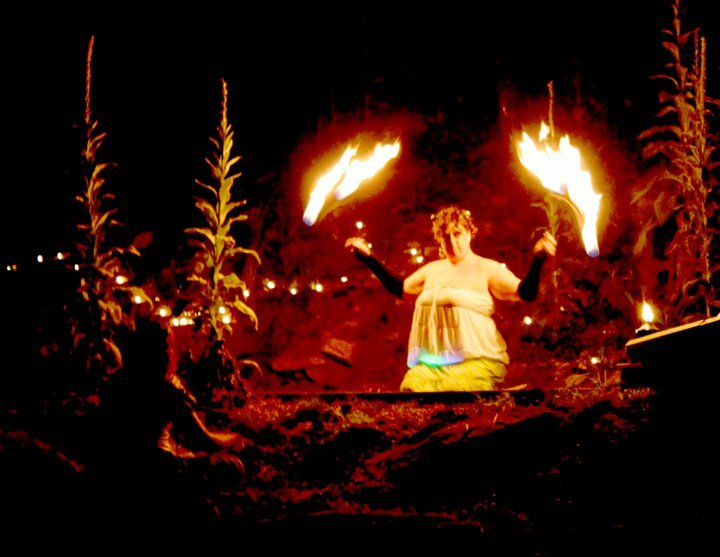 Starting off as a poi-based performer, she quickly became interested in other forms of fire art after joining the Pittsburgh Fire Arts community. 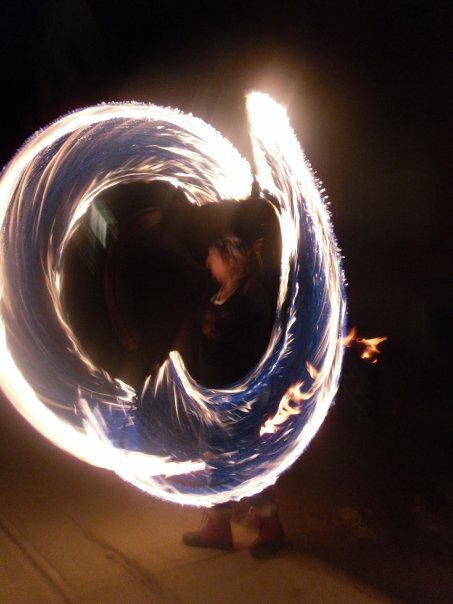 As her career has flourished, she has taken a hand in educating community members, assisted with staging and choreography development for several productions and has taken initiative in building customized fire tools, such as sparkle poi, fire parasols and other fire-based implements. 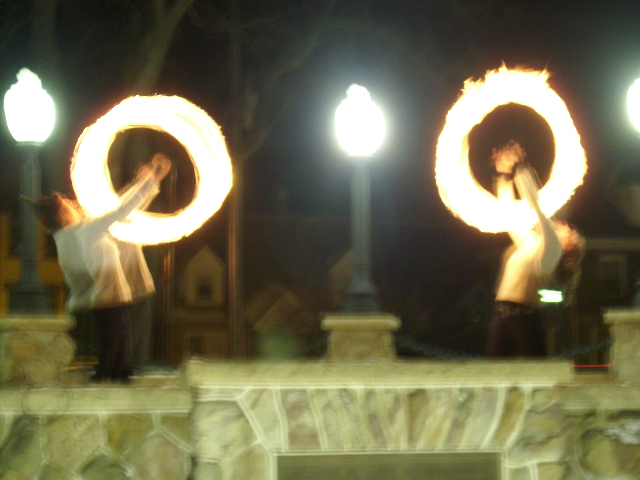 She forges a significant bond while manipulating various fire instruments. 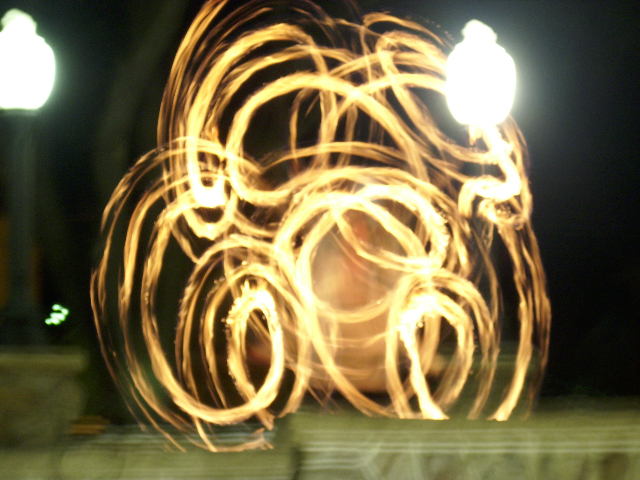 Put simply, she has a compelling relationship with poi. 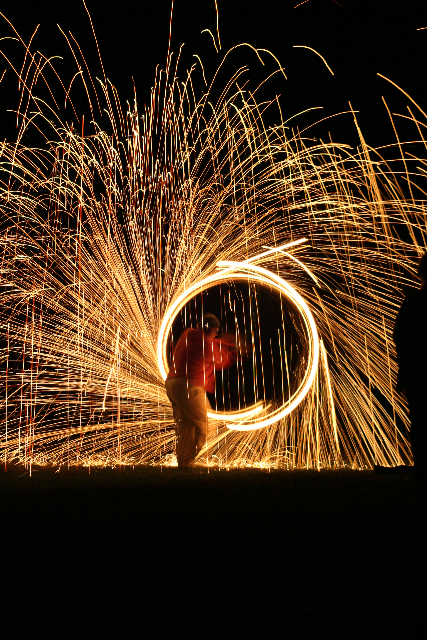 Together they form stunning visuals and create a sense of meditative solace that embodies strength, balance and energy. 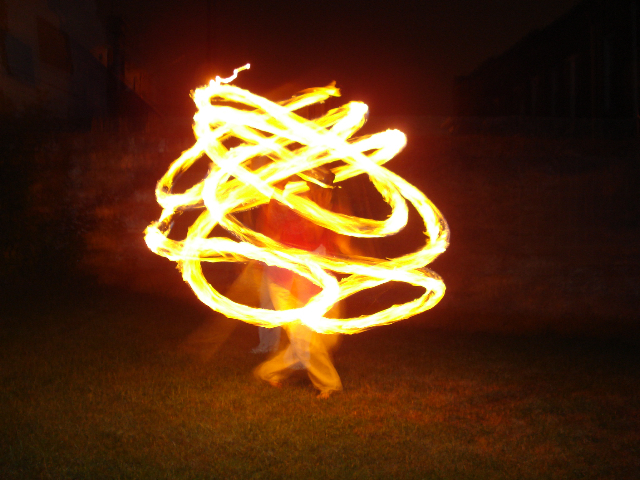 Her devotion to the fire arts continues to allow her career to thrive and enables her to further educate the community about her passion.